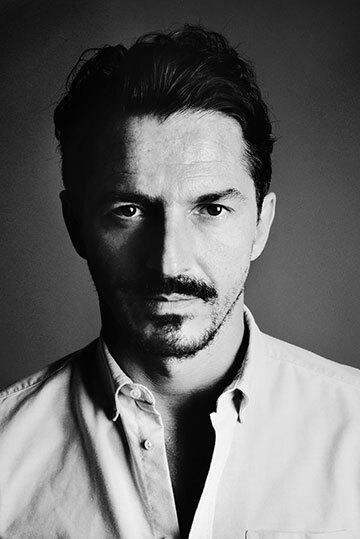 Inspired by 1950s surf culture and the ambition to collide surfwear with a ward- robe for the modern gentleman, brothers Lucas and Séverin Bonnichon founded their quirky menswear label Cuisse de grenouille, or “frog leg”, in 2010, installing their ideal surfer world in the Marais district of Paris. Starting with vintage-style boardshorts, the Cuisse de grenouille collection spans a quirky mix of beachwear and après-surf options, for a colourful mix of coastal and urban style all year long. 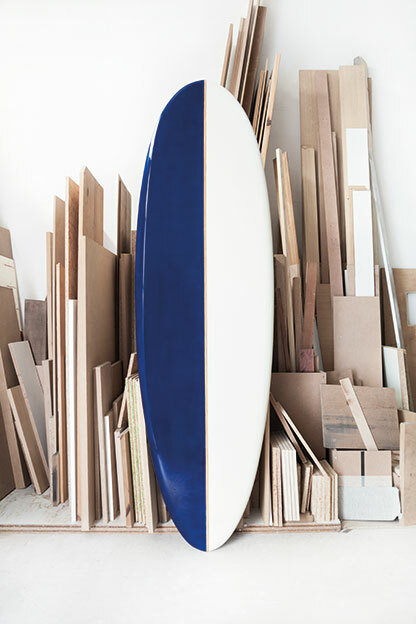 Nurturing the thriving surf culture in France, their Cuisse de grenouille have created a unique set of three surfboards, a quiver to be exact, inspired by the shape of the Mola sunfish, and designed by the Studio Jorian Brand, a frequent collaborator responsible for the label’s signature wave patterned textiles. Executed near their favourite surfing spot by Guéthary Surfboards in Basque country on the French Southwest coast, the single-fin designs are handcrafted and shaped in eggshell white and royal blue fiberglass with a pine trim (each varying in thickness for different waves). 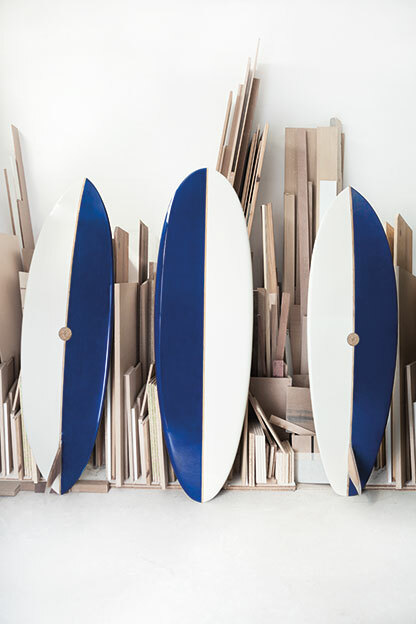 When displayed together, the boards form a triptych design of alternating blue and white panels, becoming timeless design objects for aesthetic appreciation and many an eternal summer of surfing enjoyment.